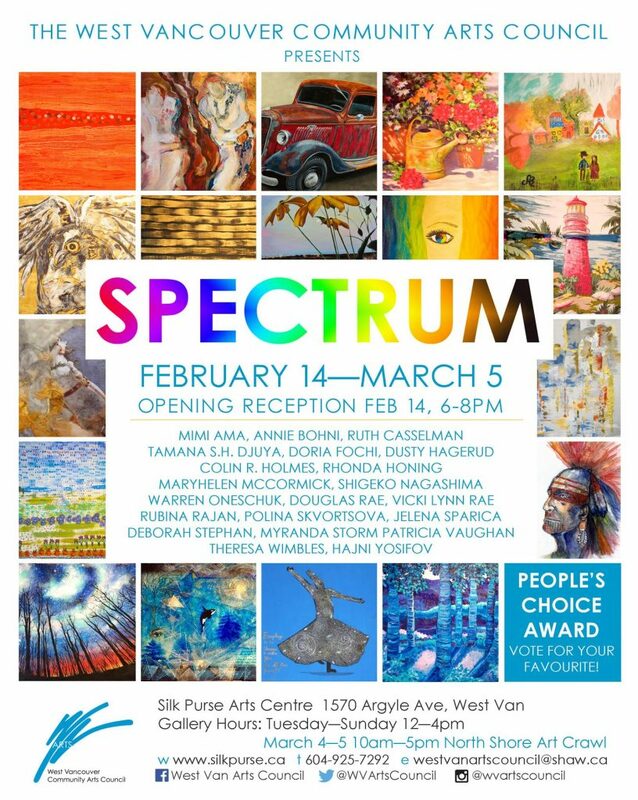 You are invited to SPECTRUM, a group exhibition featuring over 20 artists including Rubina Rajan at the beautiful Silk Purse Gallery on the West Vancouver waterfront. The gallery is open every day between noon and 4pm except Monday. The exhibition runs from Feb 14, 2017 to March 5, 2017. This entry was posted in Exhibitions and tagged Abstract paintings, Rubina Rajan, Silk Purse Gallery on February 19, 2017 by rubin019.